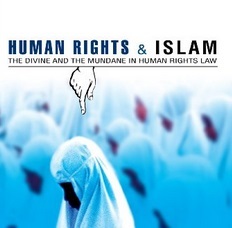 While dealing with this topic, one of the major obstacles limiting full understanding of Muslims’ perspectives on the issues of human rights is the fact that their views are always filtered through the lens of Western scholarship. Most of the writings are more or less some sort of commentaries, commentaries that are nonetheless expressive of the third party’s views. As I will emphasize in the conclusion of this collection, the discourse on human rights laws is not necessarily conducted in the public domain. With the exception of the official views of states that subscribe to implementation of sharí`ah, the debate of this topic in the rest of the Muslim world is carried out as a private discourse in mosques and religious institutions. The medium of this discourse is also limited to the oral preaching and not necessarily incorporated within the literary dialogue. Public opinion in the Muslim world is largely shaped by the mosque. If there is a possibility for change of attitudes towards these issues, that change must be sanctioned by the mosque and the institutions associated with the mosque. In the Islamic world, more than any other parts of the world, serious change cannot happen outside the interaction of the street with the mosque. In order to have a better appreciation of the kind of dynamics that exist in the Muslim community, I thought this dynamics could be best described by allowing the various actors express their points of view in a natural setting. Such an approach would allow us to see the uncensored debate that goes on in the centers of influence. In the following sections, we will present a very representative collection of opinions, decrees, and arguments relevant to the question of human rights. These materials are translations and direct quotes from speeches, Friday prayers’ sermons, fatwas, and short essays on various issues relevant to the question of human rights. I have tried to include these documents as they are; only with minor editorial changes. What makes these documents so valuable in my view is the fact that they were presented primarily to Muslim audiences. One could argue then that these are necessarily culturally authentic materials. The approaches and the attitudes are thus the same used to build the Muslim political and religious being. This is where and how Muslims, of various times and various backgrounds, come to establish their worldview, and we wish to consider these discussions, without any intrusion and filtration of these arguments, in order to have a better appreciation of the issues of their concern. I would argue that only through the studying of the authentic discussion/materials on the subject by adhering Muslims can one actually have a clear understanding of their position, disagreeable that may be.